Mostly clear. Low 61F. Winds NNW at 5 to 10 mph..
Eva D. White passed away on February 6, 2019 in Hanford, CA at the age of 95. Eva was born in Tulare, CA on November 19, 1923 to Joseph & Jesuina da Conceicao de Jesus Borba. She was married for 45 years to Laurence White, the love of her life. She was preceded in death by her husband Laurence White, sister Emma Green, grandson Brandon White, and great granddaughter Kyle Revious. She is survived by her daughter Marilyn Roberts, son Larry White (Karen), daughter Patti Ferreira (Larry), son Donald White (Julie), daughter Carol Avalos (Louie), daughter Cheryl Elliott (Kinney), her brothers Frank Borba, Joe Borba (Marian), her 14 grandchildren, 20 great grandchildren, and 1 great-great grandson. Mom's greatest treasures were her children, grandchildren, and great grandchildren. She was always happy when she was around them. For those who knew her, knew she loved fishing, camping with family, and watching her college and NFL football games. Another pastime of hers was going to the casino and playing the slot machines. She would always tell us it was time to exercise her finger (at the slot machines) and let her just relax and not have a care in the world. We would always take her to White Top restaurant to get a BBQ beef sandwich and a milkshake. That was a must! Not to mention her banana milkshakes from Superior Dairy. Mom, Vava, VisaVa was so loved and will be truly missed. Even though our hearts are broken, knowing she is reunited with her husband and in the arms of God rejoicing in heaven, gives us peace. The family would like to thank the staff at Hacienda for taking good care of Mom, she loved all of you. A special thank you to her lifelong friend, Alice Pimentel for her friendship and keeping her company. Visitation for Eva will be on Sunday, February 10, 2019 beginning at 5pm with a Rosary held 7pm at Whitehurst McNamara Funeral Home, 100 W. Bush St. Hanford, CA. Funeral Mass will be on Monday, February 11, 2019 at 1:30pm at Immaculate Heart of Mary Catholic Church, 10355 Hanford-Armona Rd, Hanford. Burial will follow at Calvary Cemetery in Hanford. 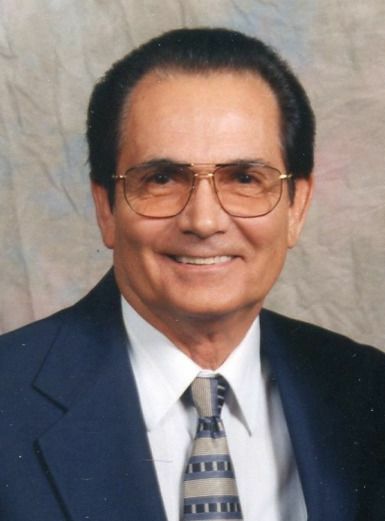 James J. Avila passed away on February 1, 2019 in Fresno, CA at the age of 87. James was born in Hanford on June 1, 1931 as the youngest son to Tome and Elizabeth Avila. He is survived by his beloved wife of 62 years, Shirley, sister-in-law, Mary J. Avila, nieces and nephews: Tom (Dorothy) Avila, Jeanne (Owen) Schales, Mark (Cheryl) Avila, Liz (Shane) Brown, Cathy Vierra, Dannielle Crow, and their children. Cousins: Mardell (Lee) Hart, Danette (Mike) Bettencourt, Jesslyn (Rocky) Borrecco and their families. He was predeceased by his brother, Thomas C. Avila in 2007, and his stepbrother, Manuel Vierra. James graduated from Hardwick Elementary School, then Laton High School in 1950. He was a member of the California National Guard for one year, before entering the U.S. Navy. He was a veteran of the Korean War, having served in the U.S. Navy from 1952 to 1955. He was assigned to the destroyer U.S.S. Buck, DD761, as an engineman, second class. He was honorably discharged after four years of service; receiving the Korean Presidential Unit Citation, Korean Service medal (three stars), Good Conduct United Nations Service Medal, and National Defense Service Medal. He was very proud of the U.S. Navy; continuing to attend several Navy reunions. When returning home, he married the love of his life, Shirley Silva on April 8, 1956, making their home on their farm in Hardwick. He farmed in partnership with his Father, until James and Shirley began to farm on their own. They enjoyed many motor home trips with family and friends; spending time in their coastal home in Morro Bay; Cruises and trips with 56' T-Bird Club and hosting an annual Easter celebration. James was also a Past Supreme President of the I.D.E.S. Portuguese Lodge in 1973-74, traveling to all the councils in California; also a member of PFSA, LUSO-American, APUMEC, and SES. He also belonged to the Hanford Fraternal Hall Association and Kings County Farm Bureau. James was a man of devout faith, belonging to Our Lady of Fatima Catholic Church all of his life; and obtained his Fourth Degree with the Knights of Columbus. James will be missed by his beloved wife Shirley, his family and friends. All services will be held at the Shrine of Our Lady of Fatima, 20855 S. Fatima Ave in Laton. Visitation will be on Thursday, February 7, 2019 beginning at 5pm with recitation of the Rosary at 6:30pm. Mass of Christian burial will be on Friday, February 8th at 10am. Burial following at Calvary Cemetery, Hanford. Memorials may be made to St. Jude Research Hospital, or a favorite charity. Arrangements entrusted to Whitehurst McNamara Funeral Home, Hanford. Ricky Lee Larson was born on September 18, 1953, in Austin, Texas, to the late Yvonne (Leefe) Larson and Paul Chris Larson and passed away at age 65 on January 31, 2019, at home surrounded by his loving wife and family in Hanford, California. He graduated from Cleveland High School in 1971. He was in the Carnival industry his whole life starting in his families Horse Derby Races and grew up to own American Traveing Shows, Inc. For the last 17 years, Mr. Larson has been headquartered in Hanford, CA where he built many wonderful relationships with local business people and neighbors who became friends as they supported all the needs of running a carnival. One of the most satisfying relationships he had in the last years of his life was to be a Big Brother through Kings Big Brothers/Big Sisters. The joy he experienced as a mentor to a young boy was extraordinarily satisfying and full of good memories. Rick was a past president of Showfolks of America and leaves behind more carnival family and friends than can be counted. Rick was married to Jackie (Hayden) Larson. He was preceded in death by his brothers, Paul Larson and Robert Larson; Rick is survived by his sons, Alex Paul Larson and Jason Wold; sister, Debbie (Larson) Howser; grandchildren, Ian Trent Wold, Juliana Loraine Wold, Matthew Wold, and Steven Wold; niece, Megan; and nephews, Eric Larson and Jon Larson as well as their families. Rick loved designing, building, and refurbishing rides in his shop, playing "Hollywood" with cousin Raymond and traveling with wife Jackie. Friends and family can pay their respects at the celebration of life service, on Wednesday, February 13 from 1:00 to 3:00 p.m. at Whitehurst-McNamara Funeral Service, 100 Bush Street, Hanford, California, 93230 followed by a reception the Elks Lodge. The graveside service will be private. Cecilia M. Bonilla, with her family by her side, peacefully entered eternal life on Sunday, January 20, 2019 in her Chandler, Arizona home. She was born in Covina, California on Februaury 23, 1933. Cecilia was a dedicated housewife who cherished her family dearly. She is preceded in death by husband Lucio, son Ray, and daughter Dee Dee. She is survived by son David, daughter Kina, 10 grandkids, 12 great-grandkids, and one great-great-grandchild. Her warm smile, gracious heart, and the love she had for her family will be greatly missed. A memorial service will be held in her honor, on Friday, February 15th at 12 pm at Thomas Marcum Funeral Home in Selma, California. A reception will follow at Portuguese Hall in Selma, Ca. Baby Wyatt David Methmann passed away on Monday Jan, 28th 2019 in Selma, CA. He was born in Fresno, CA on July 24th, 2018 to Ryan and Denna Methmann. He was preceded in death by his grandpa David Waggoner. Wyatt is survived by his parents Ryan and Denna Methmann; grandparents Gary and Roxanne Gibson, Frank Methmann, Willie and Diane Caetano, Sheila Waggoner, Grampus Walt Frost; great grandmas Martha Methmann and Jean Waggoner; aunts and uncles Garnet Methmann, Sean Gibson, Eric Caetano, Jimmy and Eliana Anthony, Christina Anthony, and many other caring family members. In his short life he got to experience many great adventures including going on a three week long hunting trip to Montana, Nevada, Wyoming, Oregon, and Idaho. Wyatt loved being around family and friends. He enjoyed going outside, his blankey, making noise, listening to music, and car rides. Wyatt always had a smile on his face and he loved to cuddle with his mom, dad, and fur siblings. He will be forever missed by everyone who met him in his short time on Earth. A celebration of life service will be held on February 9th 2019 in Selma CA at the First Baptist Church 2025 Grant Street Selma, CA 93662 at 2:00pm in the afternoon. Reception to follow service at the Methmann residence in Selma. Messages of sympathy and support can be sent to the Methmann residence at 2219 Jackson Street Selma, CA 93622. Mendy left this world in the arms of her daughters and husband on Thursday January 31, 2019 at the age of 57. Her death was from complications of early onset Alzheimers disease which robbed her of so many of the years that should have been her finest. She was born in 1961 in Corcoran California. She was preceded in death by her mother Kathryn Leach. She is survived by her loving husband Jim Shanley and her daughters Megan Shanley Warren , Rachelle Shanley Witt, sons in law Justin Warren and Tom Witt, father George Leach and brothers Thomas Leach, Steven Leach, her beloved Bradley Leach, and Grandchildren Theo Witt, James Warren, Annabeth Witt, Jack Warren and Sterling Warren. Mendy treasured so much about her time here. She was passionate about her career as a dental hygienist which she knew she wanted even as a little girl. Ultimately this led her to her husband Jim as she cleaned his teeth one fateful day! Mendy was always struck by the simple beauties of this world. Particularly foggy green pastures, fresh rose buds, cloud formations, constellations, and fiery sunsets. She had a special place in her heart for her "gang", 70's rock, milk chocolate, puppy breath, and baby coos. A celebration of life will be held at the family farm residence outside Morro Bay, California from 4 pm to 8 pm on February 16 2019. New venue directions will be provided on the homepage of www.sanleyfarms.com should the weather change. Be prepared to pray, laugh, cry, tell stories and eat and drink. Please bring your favorite pictures or mementos to share. Mendy will surely be attending with us and will bask in your love for her. Ernest Gonzalez, 55, of Hanford passed away on Monday, January 28, 2019. Eleanor (Westra) Locke passed away at age 96, on Saturday, January 26, 2019.
of 3 children; elder brother William and younger brother Robert, both of whom have predeceased Eleanor. was also born in Los Angeles. He served in the Army during World War II, then went to work for Lockheed. In 1951, they moved their family to rural Fresno County where they owned vineyards. Floyd passed September 22, 1997.
grandchildren Justin, Analisa and Ginger Rose Locke, and Morgan Mazzullo. The family wishes to express sincere gratitude to Eleanor's many caring neighbors and friends who helped make her life a joy, and to the physicians and nurses who attended her. Private family interment will be held Friday, February 8, at 2 p.m., at the Floral Memorial Park in Selma. A Celebration of Life to include all friends and family will be held at Page Funeral Chapel in Selma, on Saturday, February 9, 2019 at 11 a.m., with a farewell gathering at the First Christian Church Fellowship Hall immediately following the ceremony. In lieu of flowers, donations may be made to Selma Hospital. Passed away on January 29th. at home with her family by her side. " Connie", as she she was known, lived to be 105 years and 8 months. Consuelo was born in Los Azules, Chihuahua Mexico. She's survived by three daughters Fortune Urbano Hope Diaz, Alice Tiexiera, 11 grandchildren, 18 great grand children, 9 great great grandchildren. Services will be held on Thursday February 7th. at 10:00 A.M. at St Joseph's Catholic Church In Selma, Ca. Roberta Gilham was born in Bell California on October 21, 1939. She passed away January 21, 2019 at the Remington at the age of 79. Roberta was a Perinatal Unit Secretary for 35 years. After her retirement she moved to Hanford with her sister Phyllis. She served as a Goodwill Ambassador at the Remington, she was also the librarian. Roberta also helped 16 residents with their menus, she was a member of the Red Hats Society, enjoyed playing cards and was an avid member of Relay for Life. She is survived by her daughter Linda Sharp and son Charles Mullison, her sister Phyllis Jennings, 9 grandchildren and 1 great grandson. Roberta is preceded in death by her daughter Cheryl Dianne. Celebration of life Service will be held February 7, 2019 at the Remington at 2:00PM. Burial will be at a later time at Rose Hills Memorial Park in Whittier, CA. Arrangements under the direction of Bledsoe Family Peoples Funeral Chapel. Levi Lewis Hobbs Levi, 21, passed away unexpectedly on January 16th, 2019. Levi Lewis Hobbs was born in Rancho Mirage, CA June, 1997. He was raised in Hanford, CA with his parents and three brothers. He attended Monroe Elementary School, Woodrow Wilson junior high, and graduated from Earl F. Johnson high school. He loved music and had a passion for singing. In his spare time, Levi enjoyed the gym, reading, gaming and spending time with friends. He is survived by his parents Lynn (Josh) Garza and Brett Hobbs, brothers Elijah, Zachary and Micah Hobbs, his grandparents LaVonna and Fred Landes of Hanford, CA, Lionel (Lisa) Brown of Castle Rock, CO, Brenda Hobbs of Tacoma, WA, and preceded in death by Harlen Hobbs of Armona, CA. He is also survived by numerous aunts, uncles, cousins, and friends. Harold 'Ron' Hall passed away peacefully on Tuesday, January 8th 2019, surrounded by his loving family. He was born in Thermopolis, Wyoming July 29th, 1930. Ronnie joined the US Navy when he was 17 years old, serving in the Korean conflict. The military brought him to California where he met and married Sue Lancaster. They were married for 18 years and had three daughters; April Hall, Nancy Hall Coplin (Chuck), and Lori Hall Helmuth (Gary). In 1972 he married Imogene Shaw and together they started and ran a successful business, 'Ron's Rock and Block', at 12th Avenue and Hwy 198, for 14 years. Before starting the business, he worked for the City of Hanford for many years as a sewage treatment plant operator. In his early years he loved to ride his motorcycle; in later years-his Lincoln. It took him often, to Reno and Laughlin, where he could relax, unwind, play blackjack and eat good food, which he thoroughly enjoyed. Always quick to tell a joke, he enjoyed his coffee buddies at Ryan's Place or Chubbys, and his many years as an Elks Club member here in Hanford. He is survived by his wife, Imogene, his three daughters, one step-son, Larry Shaw (Joann), and many grandchildren and great-grandchildren. He was preceded in death by his parents, Patsy and Stanley Hall, and sister, Charline Abbott. Many thanks go to the staff at the Hacienda, who have assured us they will miss his personality, humor, and many daily compliments! 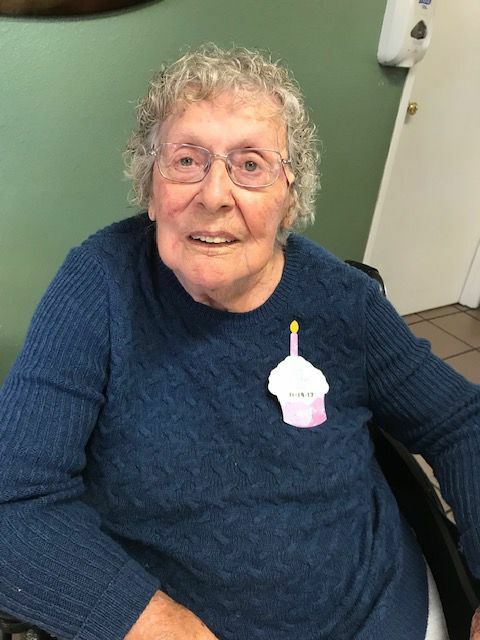 Bernice Melton Hicks of Hanford, CA, passed away Monday, January 28, 2019 at home with her family by her side. Bernice Melton was born to Lula Pendergraph and Matthew (Turn) Melton in Purdon, Texas on June 27, 1925. At the early age of five Bernice was sent to live with her father, Matthew. Here is where she received all of her education and began serving the Lord in the Methodist Church in Purdon, Texas. Bernice met the love of her life, the late Noble Hicks at the age of 17. They later got married and she became the mother of two step-sons, Willie and Clarence Hicks. Bernice and Noble were blessed with eight children of their own; two sons and six daughters. After moving back and forth from Texas to California several times, they decided to settle down and make Hanford, CA their home in 1960. Bernice had a passion for hair. She perfected her craft for doing hair in the early 70's. She spent many hours on Saturday's doing her friends and other customers in the community. Some would come from as far as Corcoran and Lemoore to get their hair done. Bernice was a great cook. She is most remembered for her delicious homemade cakes and biscuits. The Holidays were a time her home was filled with delicious soul food made from scratch. Bernice was as great mother to her children as well others she took under her wings from the community and many Lemoore NAS officers. She loved music, family and fishing. She was a stay-at-home mother to her children until they completed school and then became a Care Provider for Kings Rehabilitation Center for a number of years. She gave love and care as a provider for mentally challenged clients. She also worked for Kaweah Delta as a care provider. Bernice leaves to cherish her memory two sons Correll Hicks (Monika) of Citrus Heights, CA, Carl Bernard Hicks (Stacy) of Hanford, five daughters Wanda Chappell, Linda Hicks, Donna Wills (Fred), Denise Combs all of Hanford and Pamela Hicks of Visalia, CA. She also leaves 18 grandchildren, 36 great grandchildren, 15 great-great grandchildren and a host of nieces, nephews and cousins that life span reaching 5 generations. Bernice was preceded in death by her parents, Matthew Melton and Mrs. Lula Jones. Her loving husband of 45 years, Noble Hicks, one daughter Yvonne Lewis, her two step-sons Willie and Clarence Hicks, three sons-in-law Curtis Combs Jr., Franklin and Whallin Chappell Jr. and John Earl Hicks. All of her siblings Mattie (Sue) Walker, Kevin (Fox) Jones, John Henry (Honey) Jones, Matthew (Red) Jones, Mattie Louise Jones, Columbus Jones and Nora (Turtle) Jones all of Texas. Visitation for Bernice will take place on Tuesday, Feb 5, 2019 from 8:30 – 10:00 am at Howard Chapel, 311 S. Douty St. Hanford, CA. Funeral service will begin at 10:00 am also at Howard Chapel. Burial will follow at Hanford Cemetery in Hanford. Services entrusted to Whitehurst McNamara Funeral Chapel, Hanford, CA. Billy J. Curtis, 94 of Hanford passed away on Saturday, January 26th. A Celebration of Billy's Life will be held on Saturday, February 16th at 2:00 p.m. at Hanford Church of Christ; 1596 W. Grangeville Blvd, Hanford. Services under the arrangement of People's Funeral Chapel.